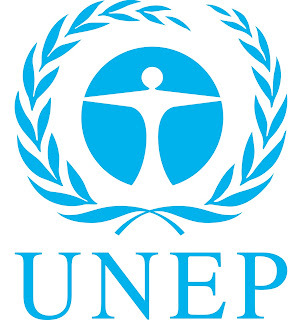 "A Billion Acts of Green" is the theme for the Earth Day 2011. 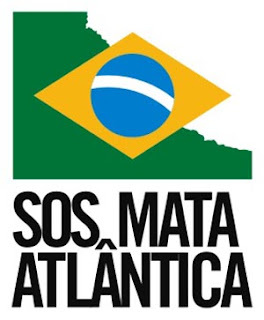 The goal is to generate acts that focus on environmental causes before Rio +20, the United Nations Conference on Sustainable Development in 2012. "Every tree planted in 2011 as part of Earth Day Network's Canopy Project will be counted in its Billion Acts of Green®, the campaign to reward and inspire simple individual acts as well as larger corporate, governmental and organizational acts, with the goal of measurably reducing carbon emissions and supporting sustainability. Additionally, the trees planted in the Canopy Project will be pledged towards the UNEP Billion Tree Campaign, a worldwide tree-planting initiative facilitated by the United Nations Environment Program. Already, in 2010, the Avatar Home Tree Initiative, a partnership between Twentieth Century Fox Home Entertainment and Earth Day Network, engaged 31,000 individuals who planted over 1 million trees in 16 countries. In 2011, Earth Day Network is continuing that effort with The Canopy Project, which will plant millions of trees in sponsor-supported tree-planting projects in partnership with non‐profit organizations throughout the world. The projects will focus on planting trees where they are most needed, such as in Haiti, Brazil, Mexico and urban areas of the US, providing opportunities for people of all ages to actively participate in protecting the environment. Help Earth Day Network grow the Earth's canopy by planting trees where they are needed most! Below are some of the unique projects that Earth Day Network and the Avatar Home Tree Initiative supported in 2010. 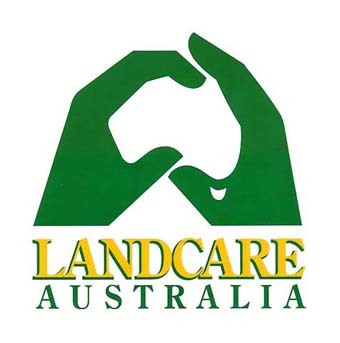 Landcare Australia worked with national parks and land care groups to help restore vulnerable areas of metropolitan New South Wales and Victoria, focusing on areas with unique and threatened animal species. Vereniging voor Bos in Vlaanderen, or Organization for Forests in Flanders, worked to combat the environmental effects of intensive livestock and agricultural production by working with private landowners in Flanders to reforest their properties. With its bi-cultural mission, Kinomé’s Trees & Life program helped 9- and 10-year-old children in southern France plant their own trees. For every tree the children planted in France, kids of the same age in Senegal planted two trees, thus advancing global reforestation and intercultural awareness. The Berlin Energy Agency’s environmental youth organization, Club-E, planted trees in southern Berlin as part of its mission to raise awareness among young people about sustainable development and lifestyles and to promote job opportunities for young people in the green economy. Trees for the Future, a U.S.-based organization that works with Haitian farmers to bring degraded lands back to productivity through the planting of beneficial trees, worked with communities to plant fruit and other native trees using sustainable agroforestry practices. Their work helped combat centuries of environmental degradation and natural disasters, including the catastrophic January 2010 earthquake. The community and Municipality of San Giovanni in Persiceto took on the Cassa Budrie reforestation project. They worked to restore and preserve a local wetland and forest located on a major flood plain, helping to promote local water security and prevent soil erosion. Other objectives of the project are biodiversity recovery and the creation of a local carbon sink to combat global climate change. To create a sustainable future, a tailored tree-planting at a Japanese school gave students and teachers the opportunity to plant trees on their campus and engage in related environmental education and school greening activities. Sierra Gorda Ecological Group (SGEG) has been working since 1987 to protect the Sierra Gorda Biosphere Reserve, the most ecologically diverse protected area of Mexico. The SGEG worked with local communities and farmers to reforest both agricultural land and pristine forests, directly benefiting local communities as local watersheds are restored. Stichting wAarde, or the Earth Value Foundation, worked with local youth to plant trees in areas around Amsterdam and Utrecht. The planted trees not only engage youth and communities in learning about their local environment, but improve air quality, create healthier outdoor spaces and restore urban habitats for wildlife. Plantemos Para el Planeta ambitiously aims to reforest Spain by planting one tree for every Spaniard. The group worked to reforest the southeastern Costa del Sol, which was ravaged by wildfire in 2009, and to create recreation spaces for individuals to appreciate the beauty of nature. Under Sweden’s Skogen i Skolan, or Forest in School program, children and their teachers go on excursions to plant spruce, pine, birch and beech trees in northeast Sweden with professional guidance and intensive environmental and reforestation education. The UK is one of the least wooded countries in Europe, with only four percent native woodland cover. Leading woodland conservation charity, The Woodland Trust is encouraging community groups across the UK to transform their local area by planting more native trees for the benefit of local people, wildlife and the environment as part of the Trust's 'More Trees, More Good' campaign. Communities can apply for free tree packs and receive support via an online advice centre. MillionTreesNYC plants trees throughout New York City’s five boroughs, focusing on low- to middle-income communities to increase green spaces in the community and improve urban environmental health for area residents. MillionTreesNYC participated in the Initiative through their fall Reforestation Day’s city-wide tree plantings. Since 1981, Friends of the Urban Forest has helped San Franciscans to plant and care for street trees and sidewalk gardens, thereby supporting the health and livability of the urban environment. The organization conducted plantings in low-income neighborhoods, resulting in increased community interaction and cooperation. 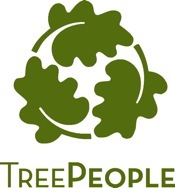 TreePeople is a Los Angeles-based non-profit whose mission is to improve the urban environment of the city by planting trees. TreePeople’s Fruit Tree Program will provide low-income families, school children and community residents with a source of free fruit to help alleviate hunger, address childhood diabetes and obesity, improve nutrition, and provide shade, beauty and cleaner air now and for decades to come." The Canopy Project. The Earth Day Network. Apr 21, 2011 distracted from: http://www.earthday.org/campaign/canopy-project. Wanna help? The Earth Day Network will plant 1 tree for every dollar donated! Ever heard of Pareto principle? This fancy term actually has a more well-known name called the 80/20 rule, meaning 80% of the effects generally come from 20% of the causes. In the case of marketing and sales, this applies to 80% of the sales coming from 20% of the customers. The 80/20 rule showcases that the majority of the revenue stream comes from a small portion of customers who can actually provide higher profit margins. So who are these 20% top tier customers? Studies have shown that the majority of the profitable customers are in fact our "existing" customers. This group of people likes the products and/or services offered, which makes them keep coming back for more. Existing customers also require less marketing expenses since the brand awareness has already successfully implemented. 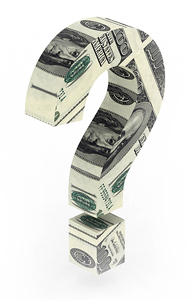 As a result, the initial advertising lump sum used in attracting new business is not needed for this group. The best part is that existing customers are usually more loyal compared to new comers. They sometimes even spread the positive word of mouth, referring businesses to their friends and families. Always keep and update customer records constantly. Understand where they come from and what was the product/service offered. Most of the marketing channels can now track customer sources automatically, showing who click on the ads or the access point where they reach the promoting company. Communicate with your customers. Learning their wants and needs are the key to success. Existing customers are the one who understand your products/services the most. Therefore, they can usually point out what you do the best and what needs to be improved or modified in order to stand out from the competition. Listening is not enough. You need to deliver. Only products/services that deliver to customers' wants and needs can retain loyalty and profits. 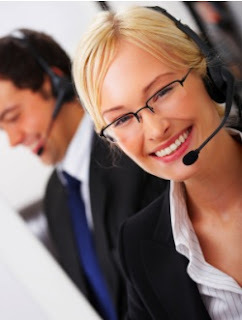 Implement a training program for all the customer service representatives, even the entire company in order to maintain a constant service quality. No one likes to be called or emailed only when others are trying to get into their wallets. Who says you can only contact customers when trying to sell them something or informing about a new promotion? Next time, try to contact them and give happy birthday wishes or holiday greetings instead. What's even better? Slip a few samples or gift cards as a gift. Not only it makes your loyal customers happy, but also brings in future revenue as well! New customers and sales leads are hard to come by these days. Why don’t we turn to another direction and start cultivating what we already have - our beloved existing customers, building a relationship that can really last through harsh times.